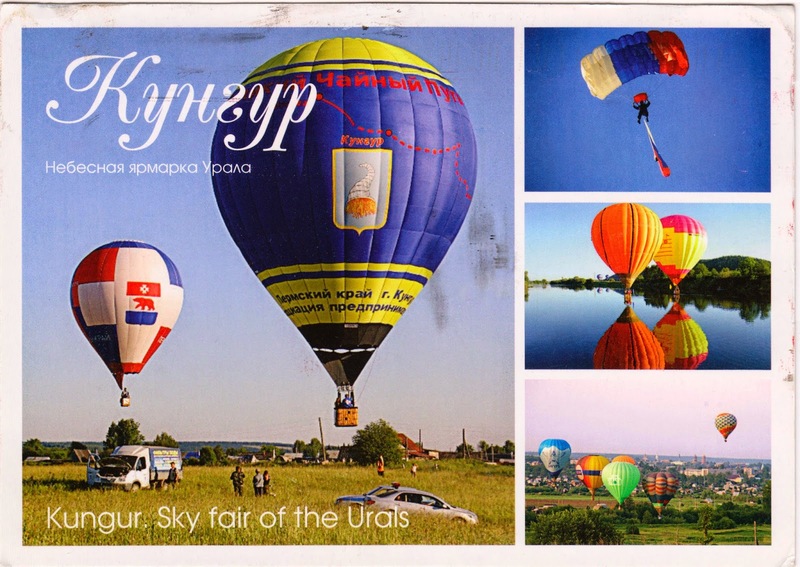 Postcard RU-2600386 from Russia shows "Sky Fair of the Urals”, an annual hot-air balloon festival held in a historic small town of Kungur in Russia since 2001. Located at the western slope of the Ural Mountains, Kungur has a population of 66,074 as of 2010. As the Ural Mountains range is usually considered the natural boundary between Europe and Asia, balloon racers have unique opportunities to flight cross over the two continents.